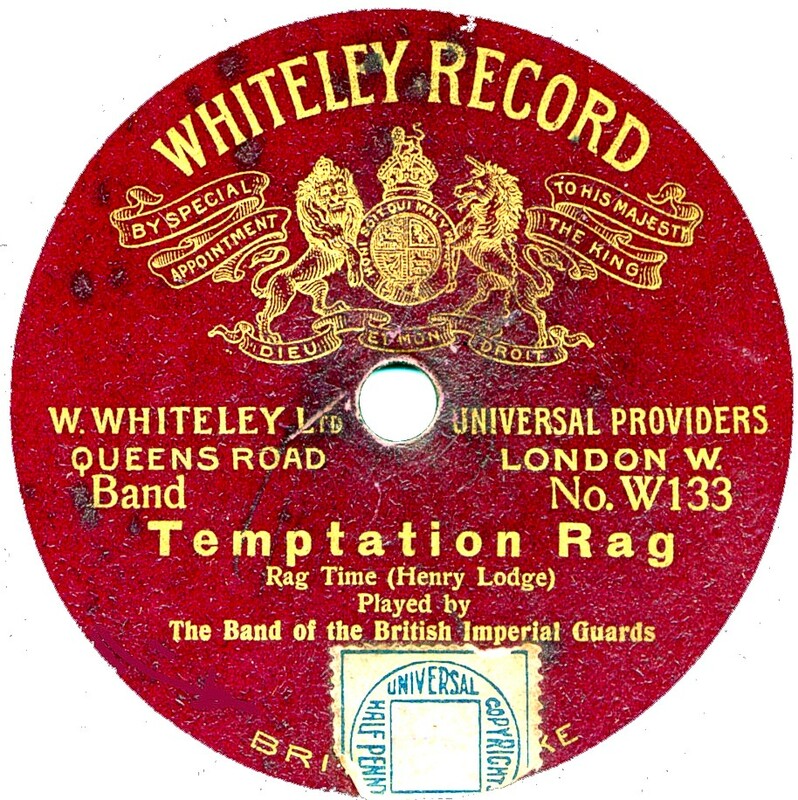 British 78rpm record labels whose name begins with W & Z. Using the letter links below you can see pages for other letters. 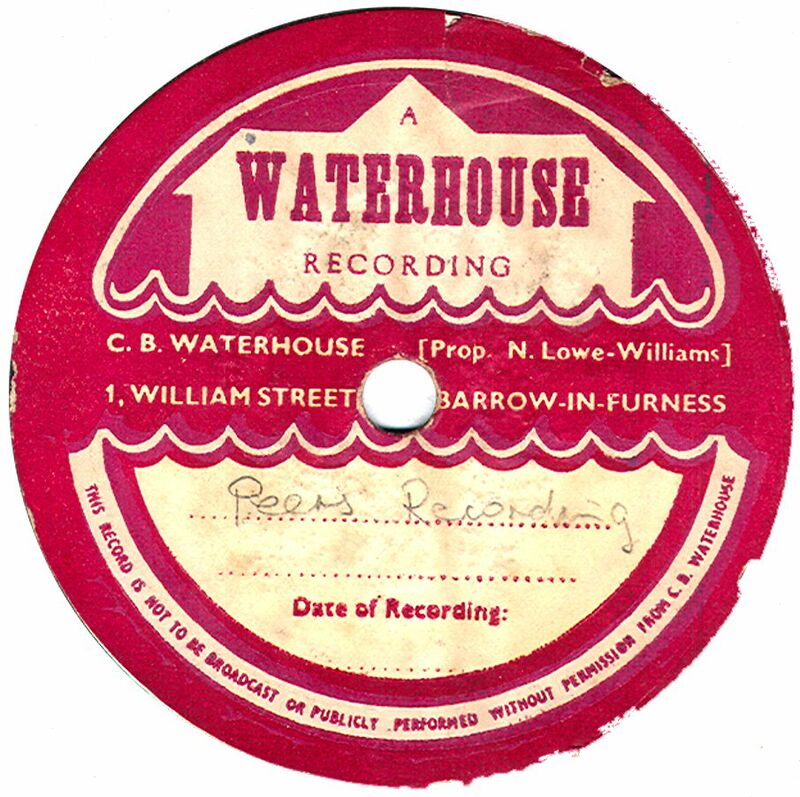 Warner Brothers The Warner Brothers label didn't appear in Britain until 1960, so it was very surpring to me to discover that they ever issued 78rpm records. These few must have sold in tiny quantites and I'm told they are very rare indeed. They were made by Decca. 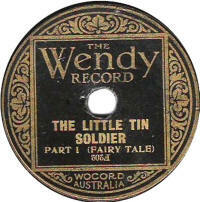 Warroner The record was named after Warroners Ltd who distributed the record. It first appeared in 1915, specialising in music by the Garde Republicaine Band. 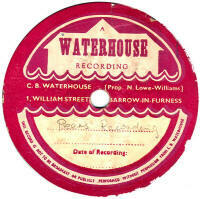 Waterhouse My thanks to Bill Dean-Myatt for providing the label image. 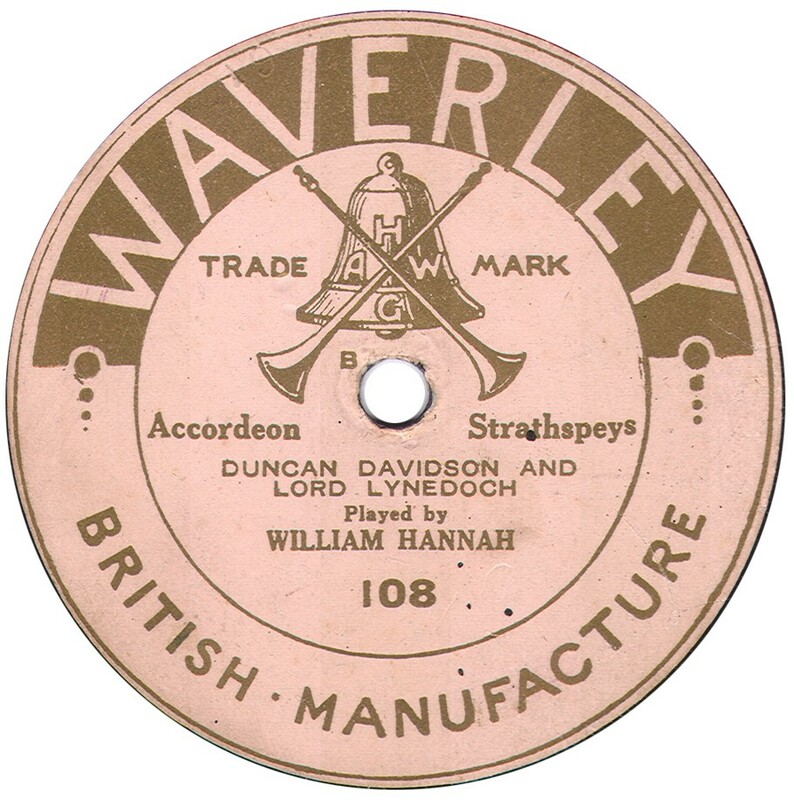 Waverley These records date to about 1924. 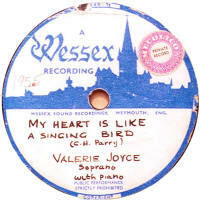 They were manufactured by Parlophone for A.H. Wilkinson & Co. of Glasgow. 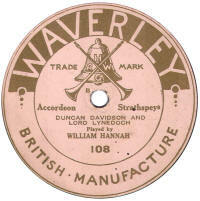 There seem to be only 12 differnt Waverley discs and all were by the accordion player William Hannah. Label image kindly provided by Bill Dean-Myatt, via Norman Field. 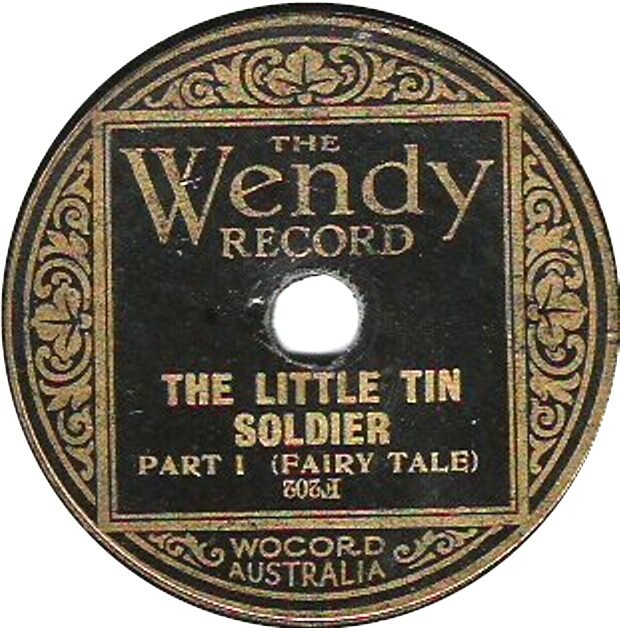 (sold in Australia) Another British product for the Australian market, Wendy records were 5½" records produced by Vocalion from their "Little Marvel" masters. Wessex My thanks to Bill Dean-Myatt for providing the label image. 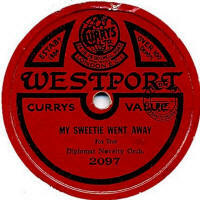 Westport Curry's, the famous Cycle makers, were masters at selling off old stock of other record companies. 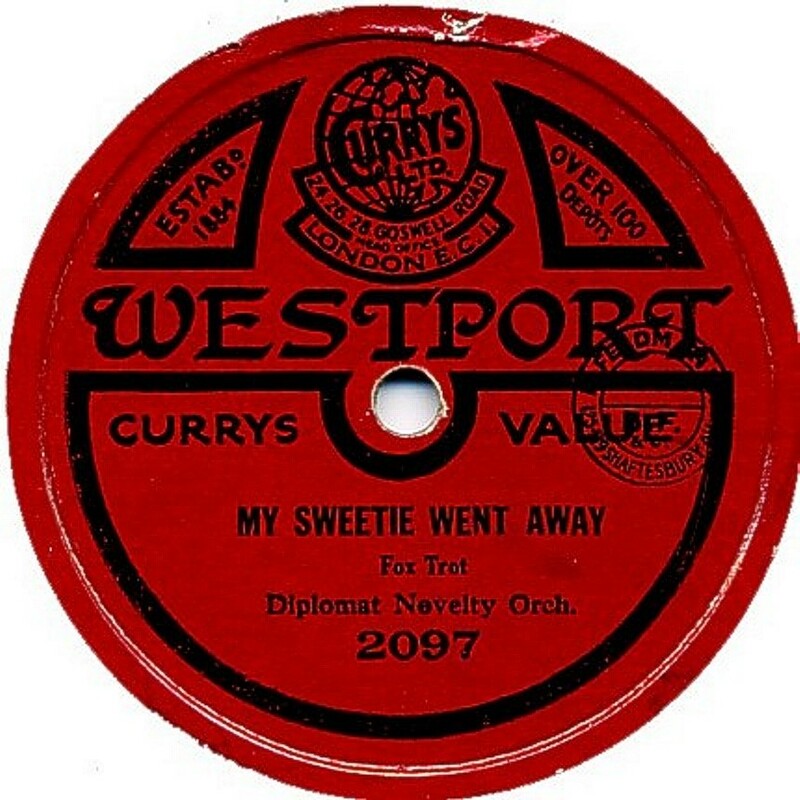 Westport was a paste-over label over old-stock Imperial and Winner records. The Winner paste-overs carry forward the same band names, whether true or pseudonyms, but the Imperial ones don't seem to. 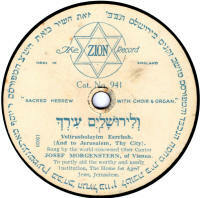 The "Catalogue" number ranges appear to be various and do not match the original records under the labels. I've never seen any others like this, but I notice that the sticker incorporates some of the Coliseum label's design, which leads me to assume there were a number of thyese rfecord and all will be old-stock Coliseum records. Whitehall These records date from about 1911-12. They were sold by Largs & Sons of 18-24 Whitehall Street, Dundee and used masters from Beka. The catalogue numbers were in an L-1 series. Thanks to Bill Dean-Myatt for the information and label scan. Whiteheads We're back in "Paste-over" country here. 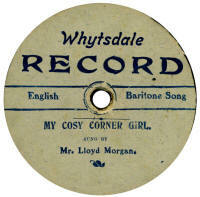 Whiteheads were a well-known department store in Bolton and their label was pasted over Duophone unbreakable records from the late 1920s. The details and catalogue numbers matched the original Duophones. 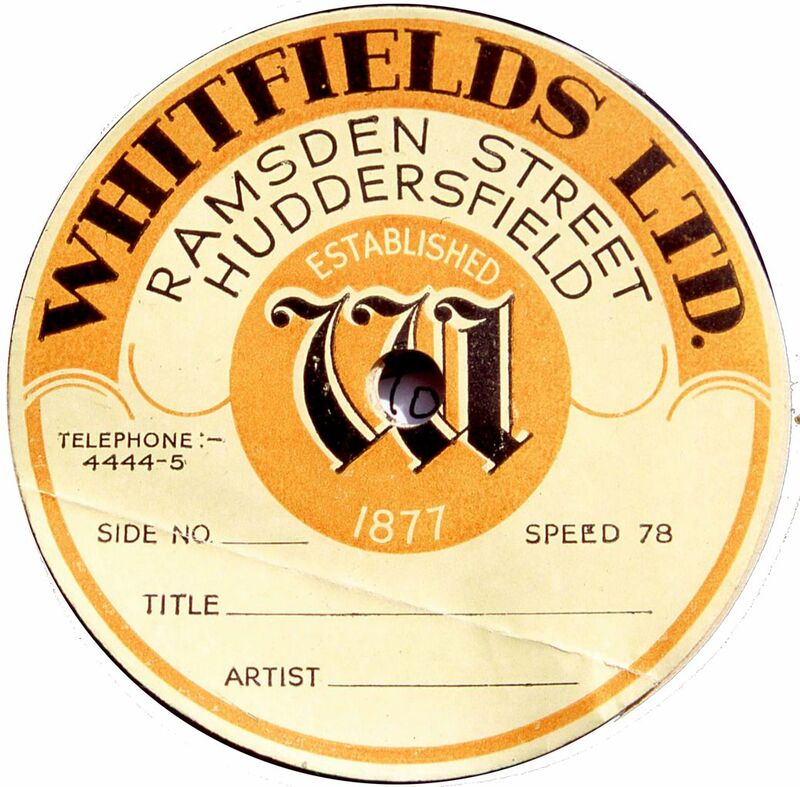 Whiteheads survived the label by many years, and only closed in 2006 after trading for 141 years. Whiteley Whiteley's were a department store in London (Queen's Road, Bayswater). 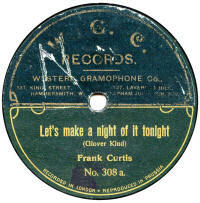 In about 1912, they started stocking their own records, which were oversized (10½") and pressed from Grammavox masters. There were about 150 pairs of titles in a catalogue series running from W-1. Whitfields My thanks to Bill Dean-Myatt for providing the label image. 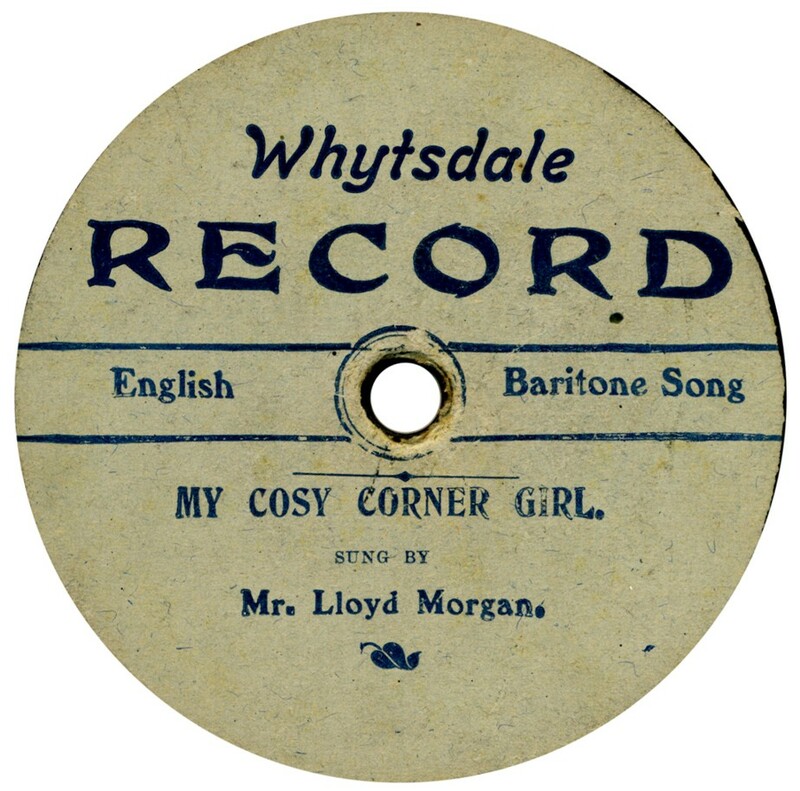 Whytsdale There were two distinctly different series of Whytsdale record, but both were manufactured for Whyte, Risdale & Co of Bishopgate, London. 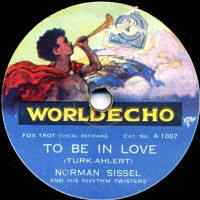 The first one shown dates from late 1908 and was manufactured by the Disc Record Company using masters from the defunct Nicole record company, but were pressed in normal shellac. The second style is probably a couple of years later and was made by Edison Bell (J.E. Hough Ltd) using their own Bell Disc masters. 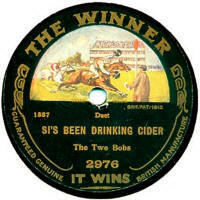 Thanks to Norman Field for the first label image and Paul Baker for the second. 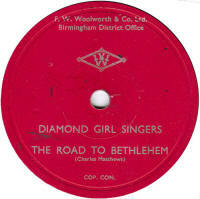 Winner Launched in 1912, Winner was produced by J. E. Hough (The Edison Bell Co) and was a standard-sized 10" record. Many of the company's previously issued "Bell" master were used to start with. "Winner", being British manufactured, was a reaction to the cheap German imports which flooded the market just before WWI. 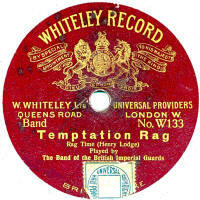 The quality was very good, except occasionally during the war, when cheaper material and poor pressings dogged the label. 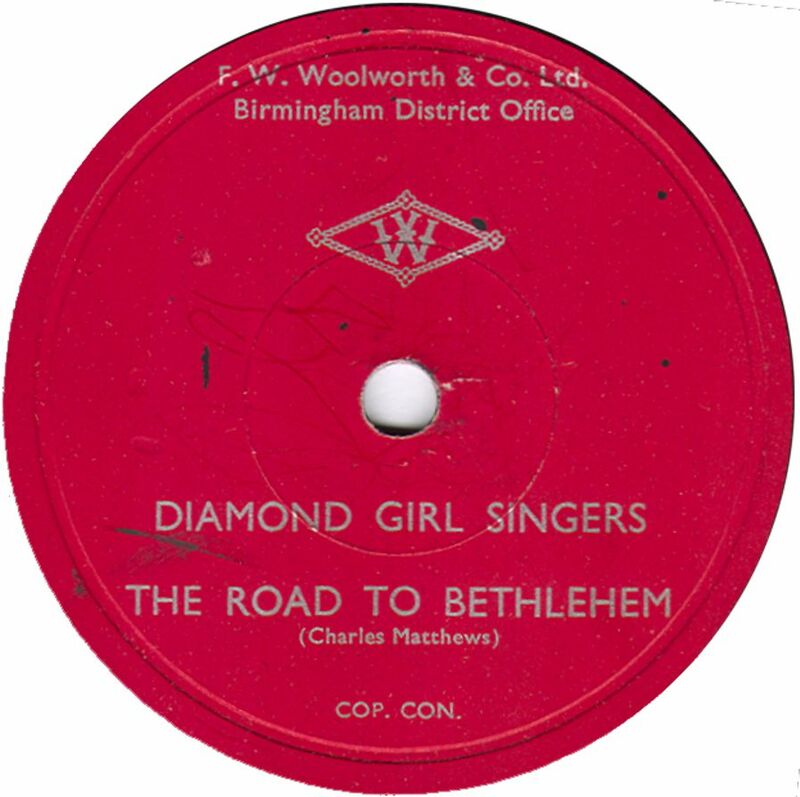 At the demise of Hough's company in 1933, the label was taken on by Decca and survived until late 1934. 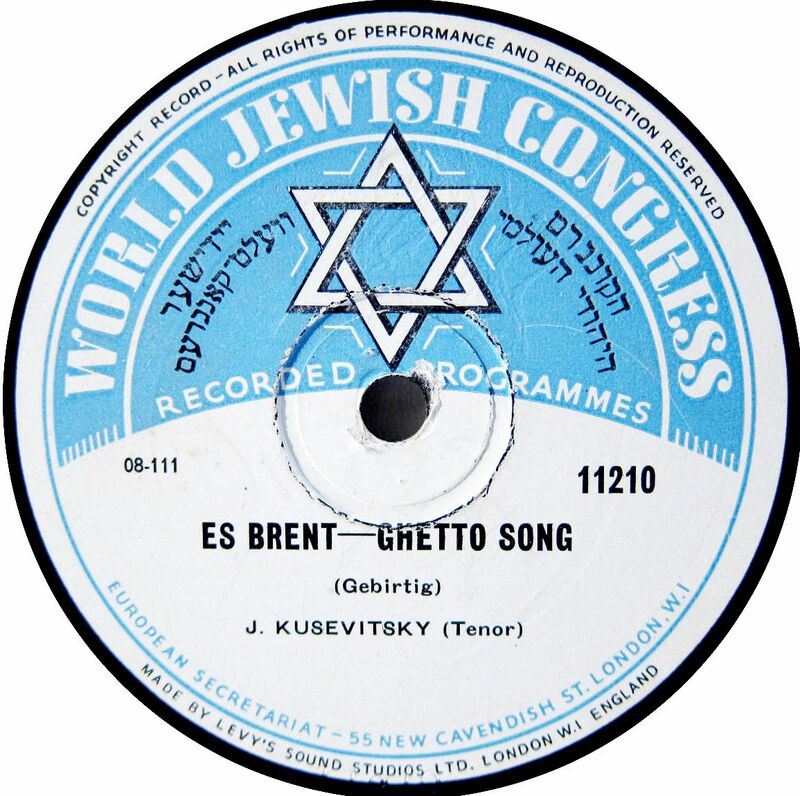 Label listing: Arthur Badrock & Karlo Adrian produced a comprehensive Winner listing some years ago; the CLPGS have copies still in stock. 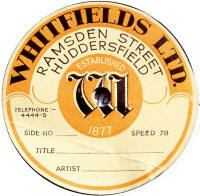 Witton Witton records date from 1928 when 6 records were issued; they were pressed by Edison Bell and were a 12" disc, costing 5/- each. Unsurprisingly, given the price, they are hard to find, and it is assumed they were made for Witton & Co, who sold gramophones & Pianos under this name. All 7 known records are by the same singer. The sole issue in the W-5000 series has the same label design but with black printing rather than green. Woolworths My thanks to Bill Dean-Myatt for providing the label image. World "World" was eccentric inventor Noel Pemberton-Billing's attempt to improve recording quality and extend the playing time of records generally. 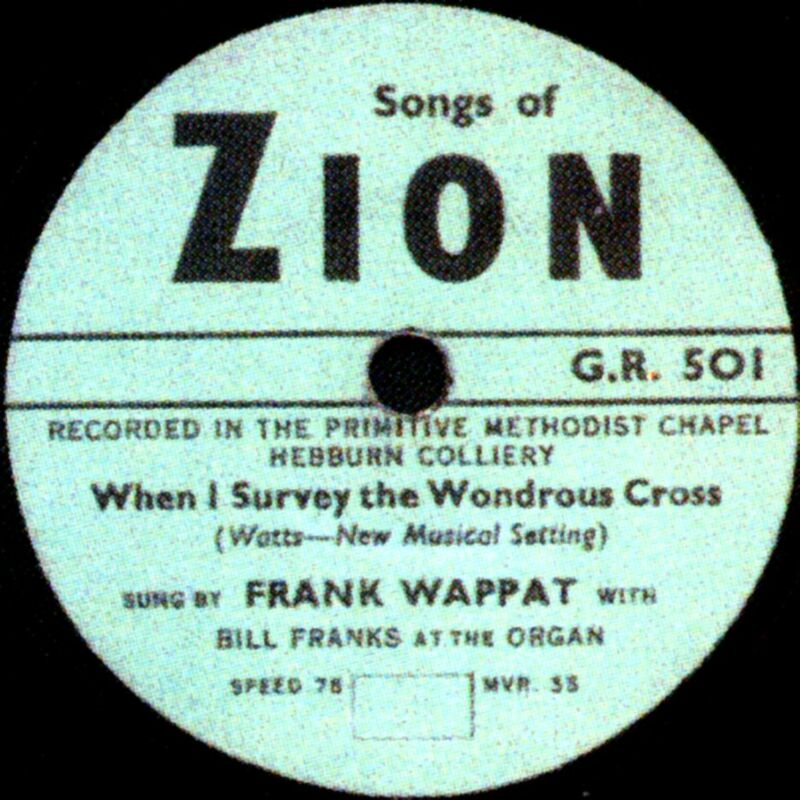 On a normal record, the actual velocity that the needle is travelling along the groove has reduced considerably, and the sound quality reduces likewise, towards the end of the side. 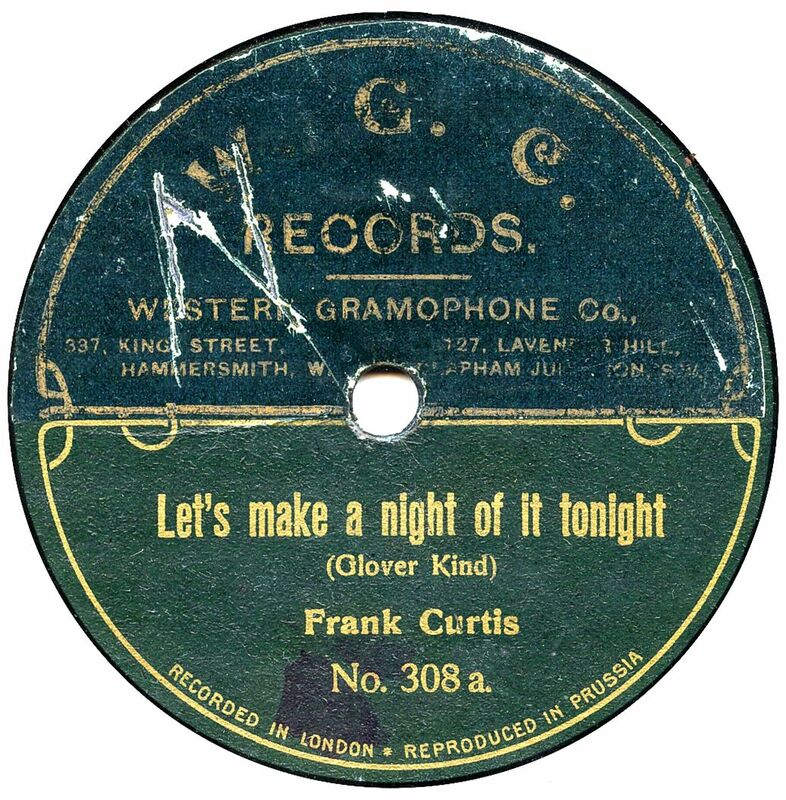 By making a record where this doesn't happen (where the rotational speed of the disc increases gradually), he not only removed this problem, but also increased the playing time of the record, but starting slowly and speeding up to 80rpm by the end. 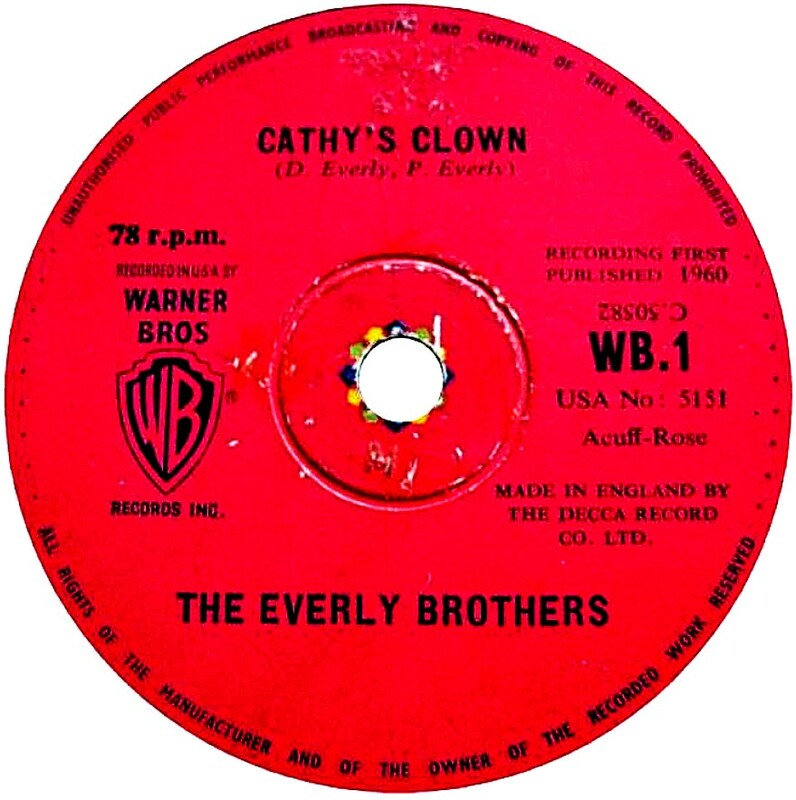 The problems were many: No top-line artists; the records were expensive; you needed a special gadget to play them at the right speed (and most gramophones weren't capable of coping with the gadget!). They only survived for a few years in the early-to-mid 1920s. They are rare anywhere, but copies turn up in Australia, suggesting they were sold in both countries, or that old UK stocks were shipped out. Worldecho Worldecho was originally a record of the "unbreakable" type, like Duophones, bring made of a central core of card, with a layer of a plastic-type material on top, for the playing surface. 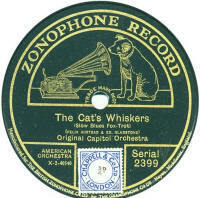 The records cost 1/3 and were available during 1929-1930. They suffer from the same problem of break-up and disintegration as Duophones and are probably quite a bit rarer. The catalogue was in an A-1000 series and ran to about A-1042. Then a new B-1000 series was introduced at 2/-, made of standard shellac and with a label that resembled America's "Van Dyke". This series was even shorter-lived, running for about 20 issues. 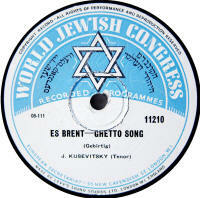 World Jewish Congress Thanks to Bill Dean-Myatt for the label image. Ye Popular See under "Popular". 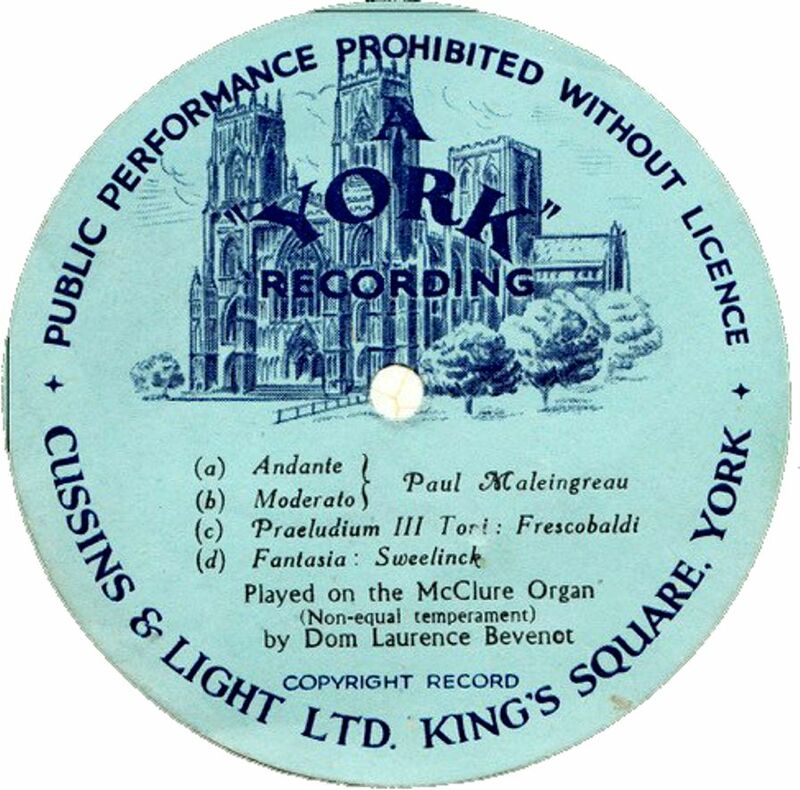 York Thanks to Bill Dean-Myatt for the label image. Zion The first example has an unknown source, but looks pre-WWII. 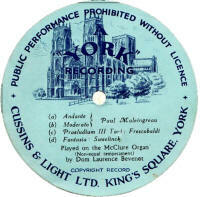 The second image shows of the labels recorded by Northern Sound Services of Newcastle-upon-Tyne in the 1950s; pressed by Oriole Ltd.
Label image courtesy of the late Frank Wappatt. 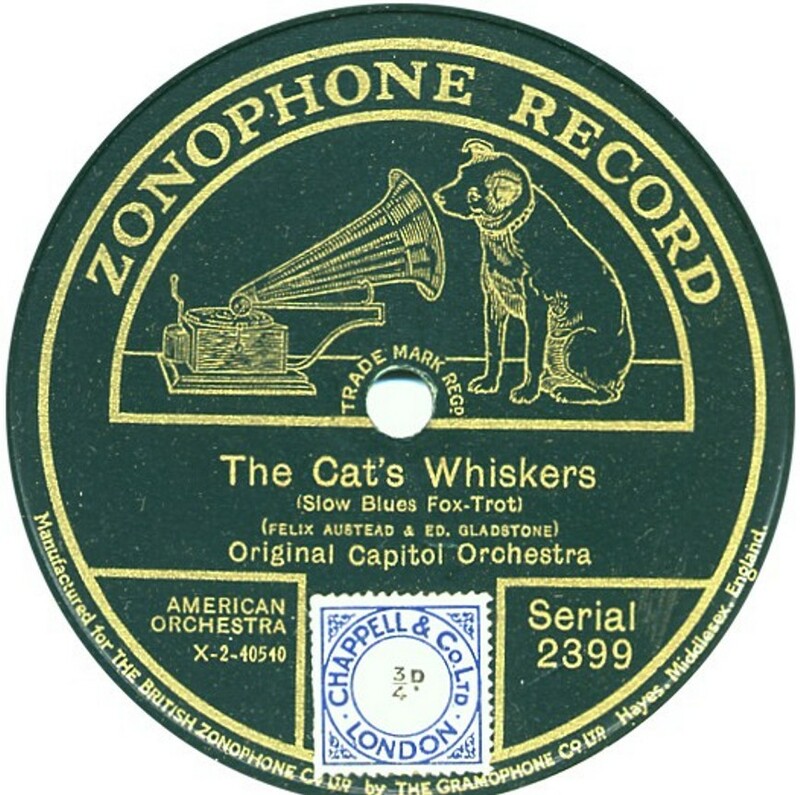 (More label designs) Originally an American company, the Zonophone name was bought by the Gramophone Company in 1903 and they started issuing single-sided 5½", 7", 10" and 12" discs. 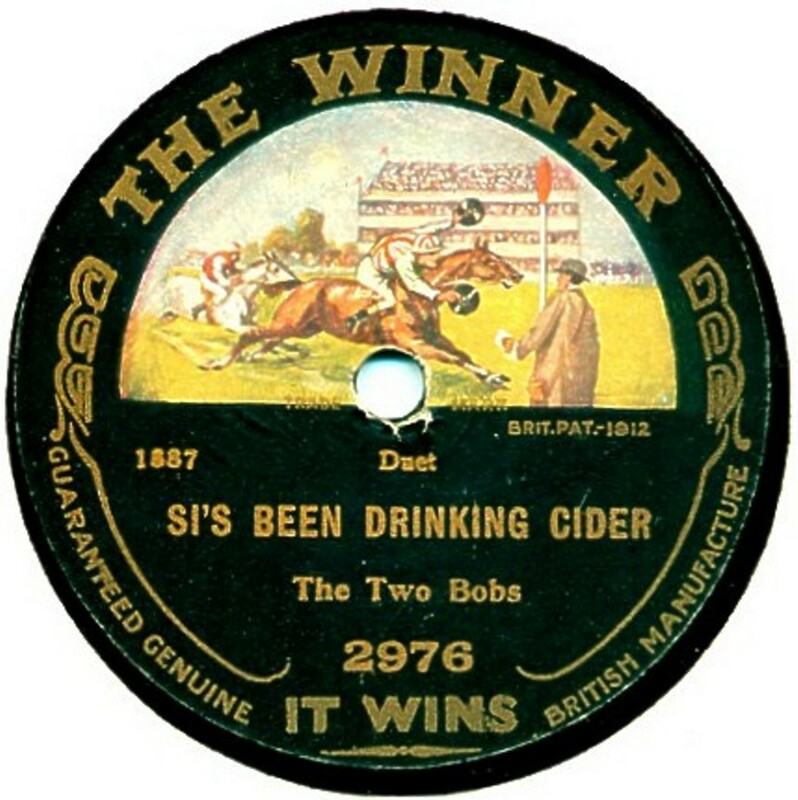 In 1913, the name was applied to the double-sided records which had been called "Twin" and both names appeared on the label for some years. In 1932, when Columbia & the Gramophone Company were merged to form EMI, Zonophone was once again paired with an existing label and Regal-Zonophone was born. This survived until 1948. 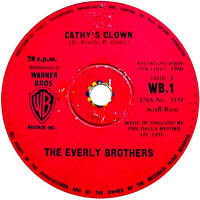 The name was revived in the 1960s (by EMI). 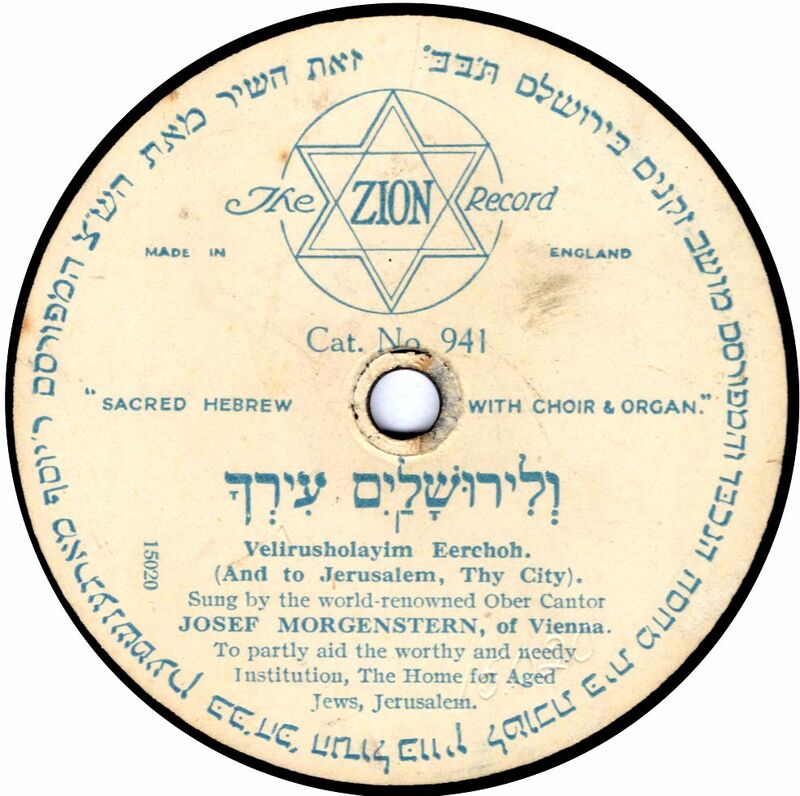 Label listing: the CLPGS have produced a full listing of the Twin & Zonophone label.